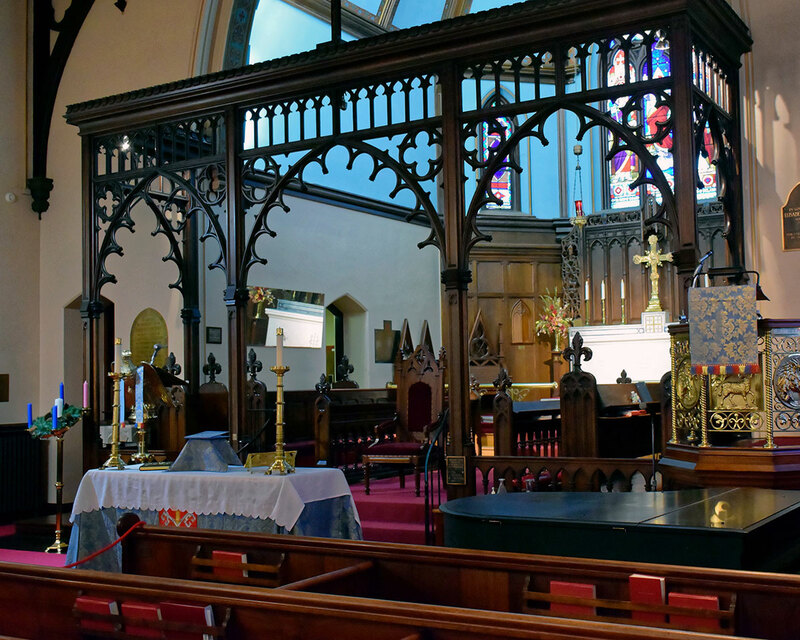 The story of St. Peter’s Episcopal Church began in 1823, when a priest known to us only as “The Rev. Mr. Hopkins” from the Diocese of New Jersey, conducted the first Services in the village of Niagara Falls. 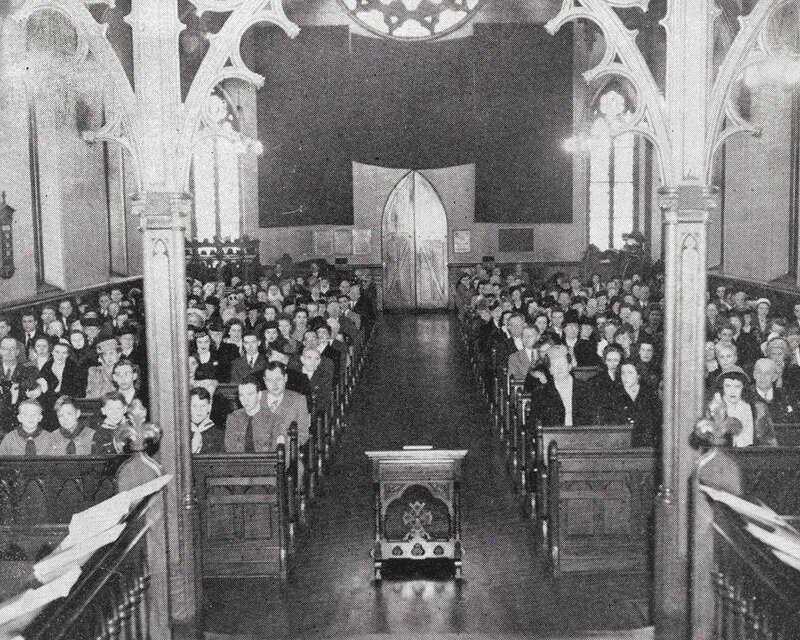 These early Services began with a few people assembling for worship in the schoolhouse near the Falls. 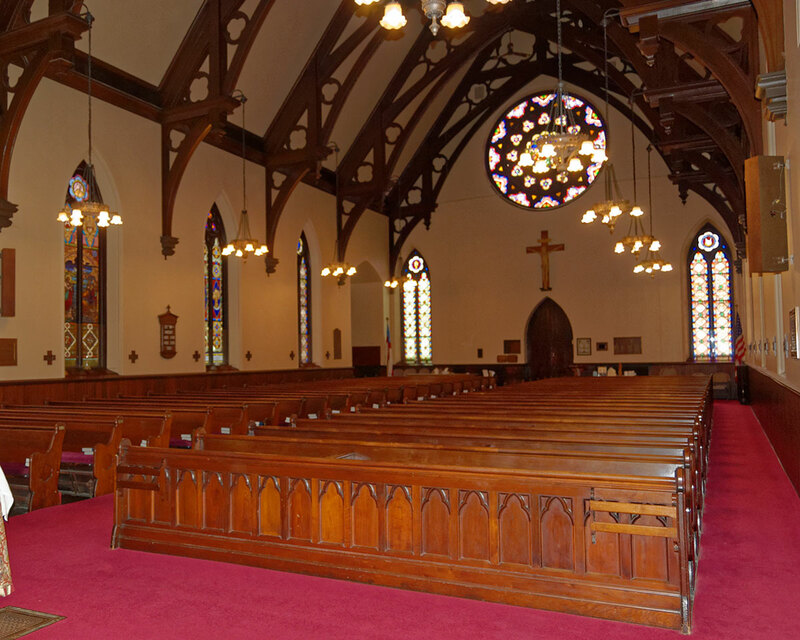 A church was formed in January, 1829, and named “Christ Church.” It was at this church that Wardens Samuel DeVeaux and Bishop John Henry Hobart preached the first sermon in Union Chapel. Union Chapel was meant to be shared by the Methodists, Presbyterians, Episcopalians and others, it was said, in “proportion to their respective contributions.” At the suggestion of Samuel DeVeaux, the heirs of General Peter B. Porter changed the name from Christ Church to St. Peter’s Church in 1847. This new name honored St. Peter, the first apostle. The name St. Peter’s also honored General Peter B. Porter, whose heirs donated two village lots on the east side of First Streets between Falls, and Niagara Streets as sites for the church and rectory. The church was consecrated on May 3, 1858 by the Rt. Rev. Delancey, Bishop of Western New York. 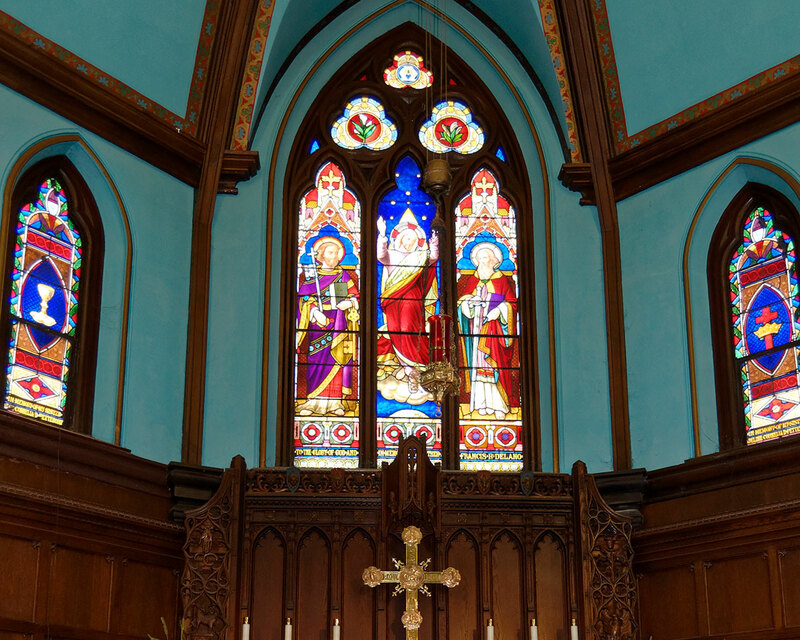 After the Civil War, St. Peter’s Parish outgrew the church on First Street, so the vestry commissioned architect Henry Dudley of New York City, who built the current church in 1872. The laying of the cornerstone took place in 1873, with the construction of the new church which extended over a period of several years. Bishop A. Cleveland Coxe held the first Service and consecrated the current building on All Saint’s Day, November 1, 1880. The adjoining Guild Hall was completed in 1901. The final cost of the building was $43,371.00. The members of St. Peter’s cherish their past, which is deeply rooted in the history of the Niagara Frontier. We also look to the future and experiencing many more years, full of Services and events, which will bear witness to the life and ministry of Jesus Christ, and his love for the community. Above: St. Peter’s High Altar, and Chancel, with choir singers, early 1900’s. Left: St. Peter’s Church, early 1900’s, over 1,600 members at this time. The interior woodwork of the church is walnut, much of which is hand carved. 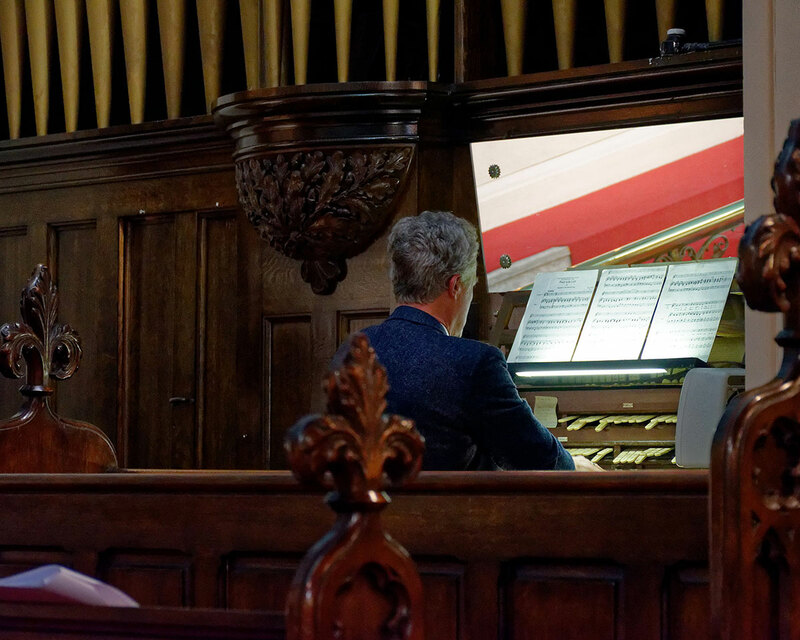 The pipe organ is a dual manual Odell, housed in a 16 square foot chamber. It was originally built in 1908 by Mr. House of Buffalo and rebuilt by Teller in 1950 by Burmaster in 1975. The main chancel window is in three sections showing the Ascension of Jesus Christ into heaven with of Sts. Peter and Paul on either side. 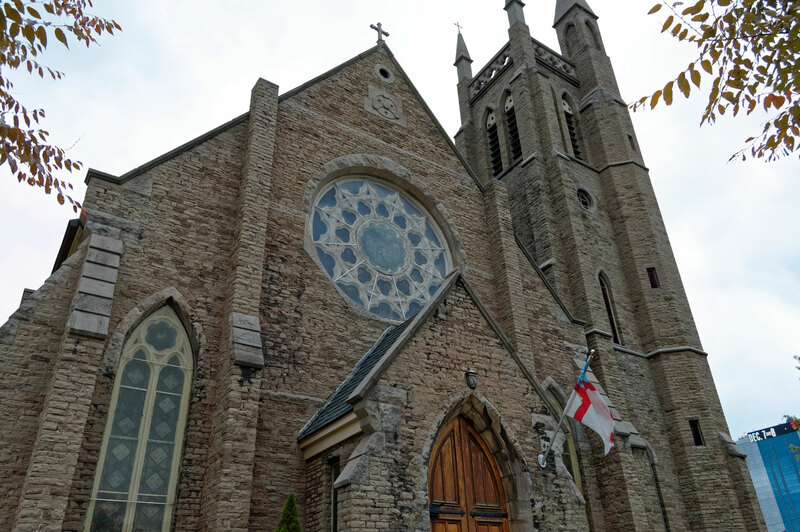 St. Peter’s Church has a seating capacity of 350 people.